« 50 Great Years – 1 Awesome Party! Wow, it’s been a while since we updated on the status of the shop high speed delivery car (life, and shop time, tend to get in the way of the website). Let’s start with a recap of the end of last season, including the first 3 trips out with it. 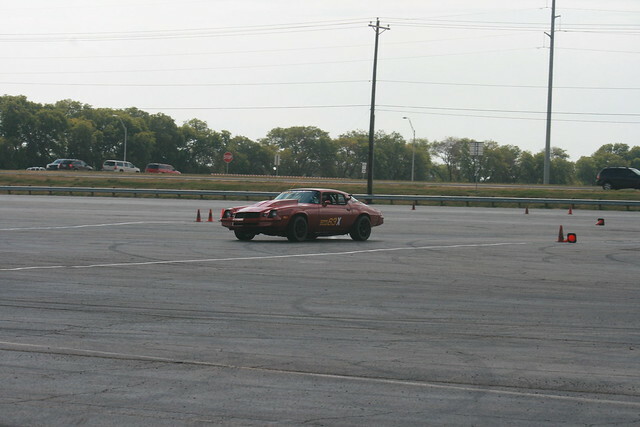 Our first outing was with the Equipe Rapide Sports Car Club in the massive asphalt jungle of Lone Star Park in Grand Prairie. All in all, for the first runs this day couldn’t have gone any better. Eased through the first run – well, first half of the first run, and picked up from there (see the video below for how quickly things escalated). The car feels great overall. Pretty docile, really, compared to what I was expecting, both in terms of handling and getting the power down. 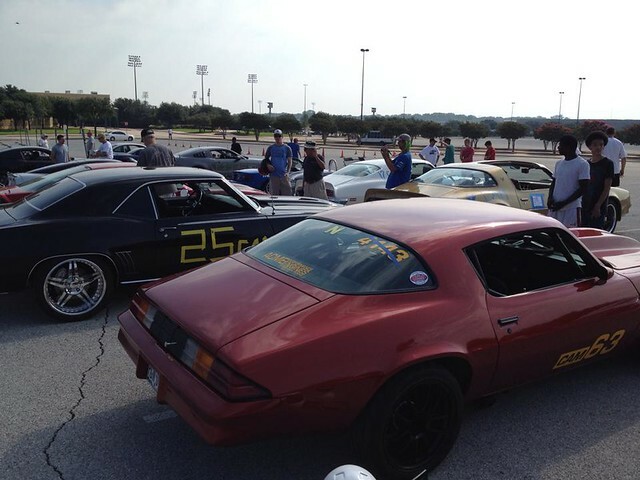 We had a great turnout of old iron at this event, with 6 entries in the CAM class. 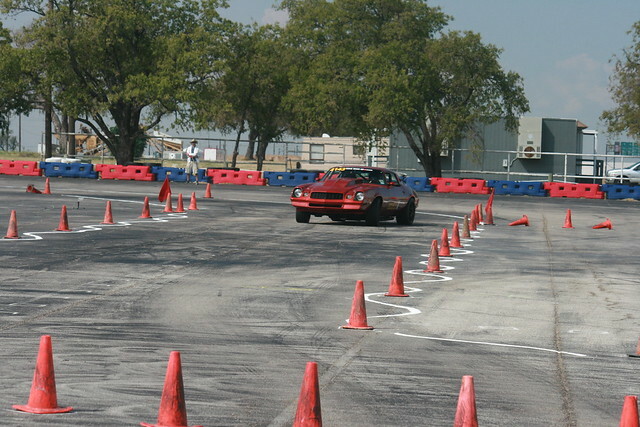 It was cool to have several reference points, and we ended up 4th in class. Not bad for a starting point, but there’s loads of room for improvement in both the car and my comfort level with it. We came away from the day with a list of updates and adjustments to make, as expected, but overall it was a very successful first trip. On to round 2! 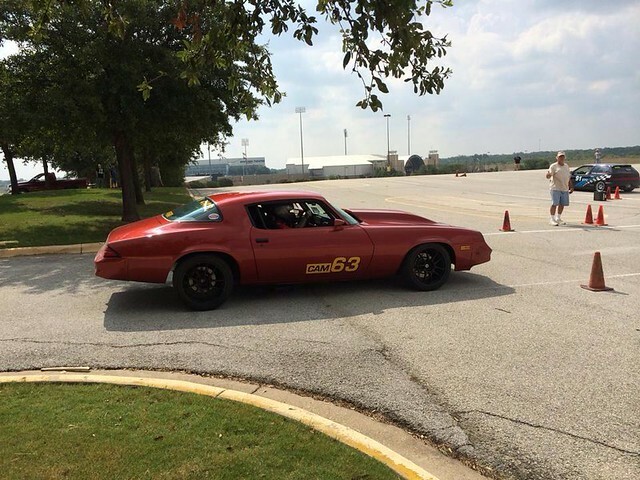 The North Texas Camaro Club invited us out for their autocross at Texas Motor Speedway, and we had an absolute blast and got a ton of seat time. This was exactly what I needed at this point with the car, the majority of our changes seemed to make for positive results. Brakes were much improved thanks to both bias adjustment and a change to Polymatrix B pads, as you can tell by a few lockups in the video below. Rear grip was much better with the rear sway bar disconnected, as well. Swapping in stiffer springs up front (650#) reduced a lot of dive under braking, but the car was still way loose all over both in corners and lateral acceleration. We formulated some plans for both issues, including building some adjustment into the front sway bar and eventually moving to an outboard mounted coilover vs. the QA1 ProCoils as we’re at the max spring rate already. 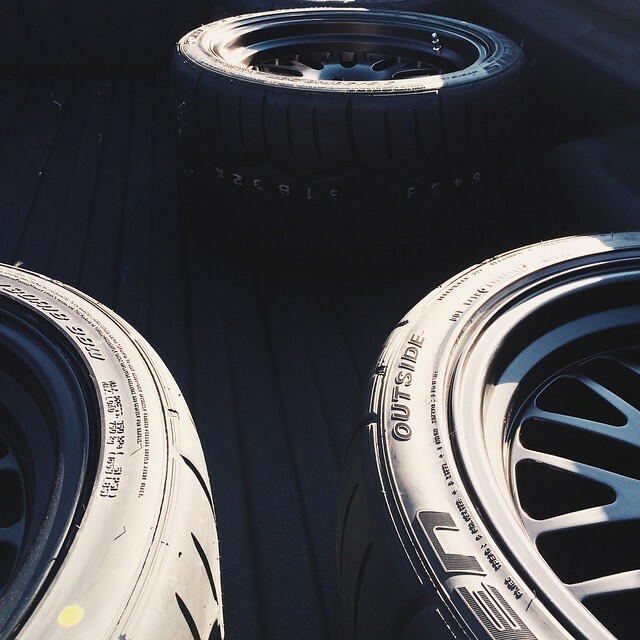 Overall, one of the most fun days at the track ever. We got 14 runs in (and could’ve gotten more), didn’t have to corner work, and had lunch on site! Hard to beat that. After two relatively uneventful trips, our last time out flat didn’t go to plan. After playing with some restrictors in the KRC power steering pump chasing a bit stiffer steering feel, it became apparent we had created a severe issue. Long story short, after two frankly scary runs with the pump struggling to keep up on return back to center (and subsequently losing power assist), we called it a day. Check back in for Part 2: The work begins! Until then, here’s a quick teaser of what’s to come. 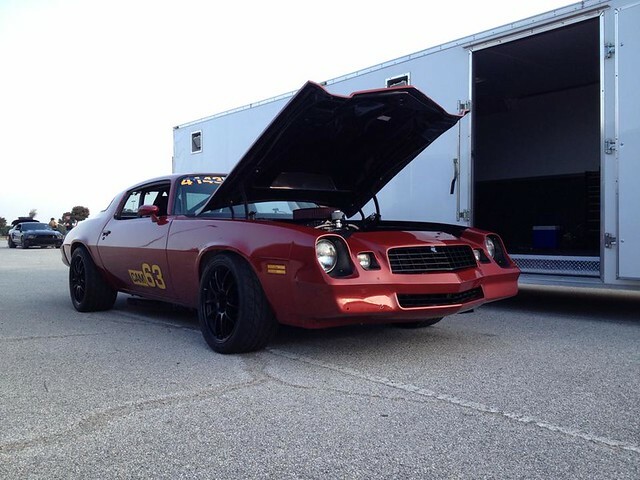 This entry was posted on March 17, 2015, 1:45 pm and is filed under Camaro, Projects, Racing. You can follow any responses to this entry through RSS 2.0. Both comments and pings are currently closed. Thanks guys keep it up! A Screeching Halt – Texas Mile priced out, what’s next?